Within minutes of last Thursday night’s shooting (Jan. 10) of Davis police officer Natalie Corona three blocks from campus, UC Davis police had stationed themselves all around the campus perimeter to watch for the at-large gunman. The “officer down” call from Fifth Street between C and D streets came in at 6:55 p.m., within an hour after a shift change at the campus Police Department. So, when the department called all officers back, they got here in a hurry. Some were still in uniform when they were summoned. 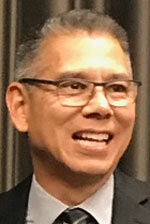 Farrow and his command staff quickly assembled a force of 15 to 18 officers, including three from UC Berkeley, three from UC San Francisco and two from UC Santa Cruz. The California Highway Patrol also played a role in security on the campus perimeter. The other UC officers, not being as familiar with downtown Davis as UC Davis police, took up assignments on campus, freeing the UC Davis officers to go downtown to assist city police in the search for the gunman. The campus Police Department also had 25 Aggie Hosts — student security officers — roaming the campus, “all with radios, communicating with us, providing additional eyes and ears,” Farrow said. The first of several WarnMe messages went out at 7:28 p.m. and another followed at 7:46 advising people to shelter in place. But while the WarnMe system indicated the messages had gone out, not everybody received them (the result of a technical problem at the WarnMe vendor, Rave Mobile Safety). All the while, police officers and Aggie Hosts stopped people they saw walking around campus to advise them of the situation. UC Davis social media accounts posted the WarnMe alerts and other updates — and word spread. Rave corrected the distribution problem for a second round of alerts that started going out at 8:45 p.m. The company has taken responsibility for the failure and is making enhancements to prevent a reoccurrence. Read more about how Rave and campus officials are following up. 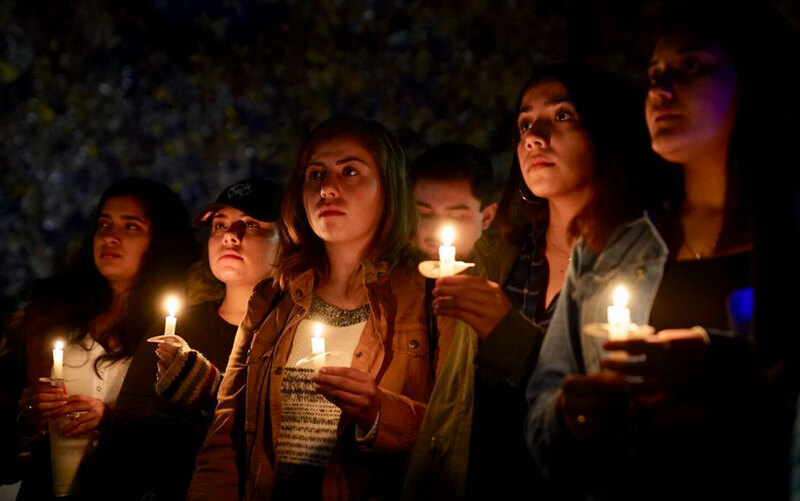 As the manhunt continued in downtown Davis, students and others around campus called in to the Police Department to advise of locations where people were sheltering in place. Police escorted students and others back to their residence halls and cars, and even responded as far as the Safeway store in south Davis to give rides to students who were afraid to walk home. 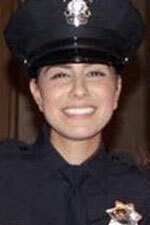 Officer Corona, 22, who had received her badge in August, died of her wounds, becoming the first Davis police officer to be killed in the line of duty since 1959. The suspect killed himself as police surrounded his home at Fifth and E streets not far from where he shot Corona and also fired at other people. Friday and Saturday (Jan. 11-12), campus officers joined Woodland police and Yolo County sheriff’s deputies in providing police service to the city of Davis. And they will do the same this Friday (Jan. 18) during a funeral that is expected to draw thousands of law enforcement officers from around the state and nation. See separate story. “So, we come together tonight as one community, town and university, to look for that meaning in our interactions with one another,” he said. We can honor officer Corona’s commitment to serve, protect and defend, Burtis said, by serving one another, protecting one another and defending one another. And he urged everyone to be kind to one another in this difficult time.